Herb Rich Body Serum IngredientsThis highly therapeutic body conditioner was formulated with pure nutritional botanicals, which supports healthy tissue repair and strengthens resilient skin health. The aroma is grounding, refreshing, and soothing. Helps to relieve itching, reduce dry scaly skin, while restoring skin protection. 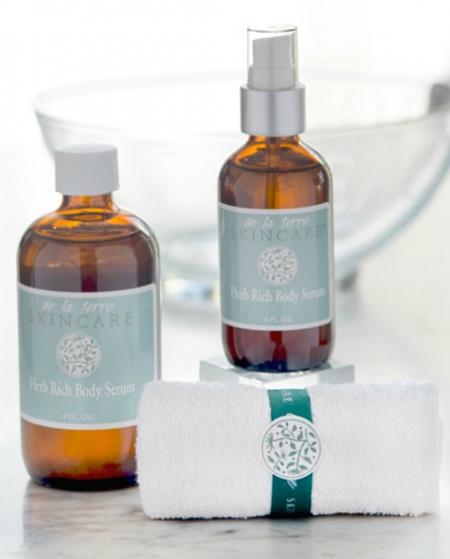 Direction for Use: Apply Herb Rich Body Serum directly after bathing or showering. Quick Tip: After applying Herb Rich Body Serum, mist skin with any one of the Herb Rich Mist and massage into skin. Allow product to absorb before putting on clothing.